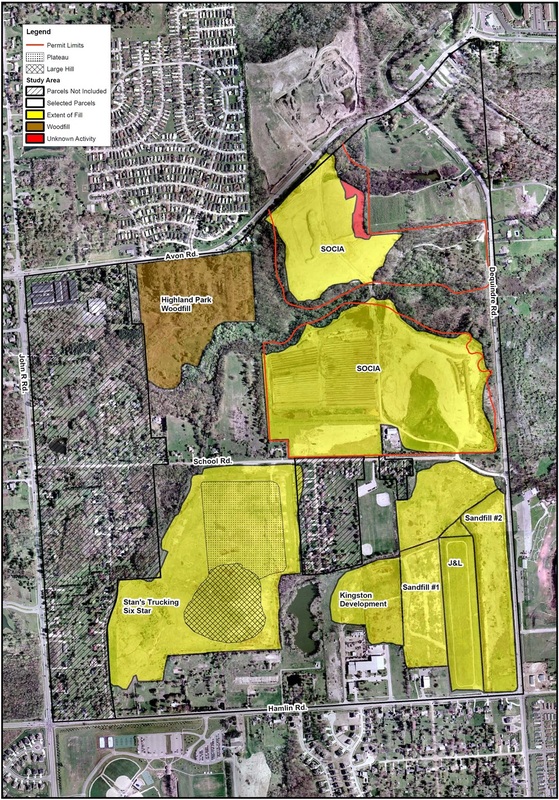 ASTI Environmental completed an Environmental Concerns Inventory (ECI) of the 414 acre landfill planning area in the City of Rochester Hills in order to identify specific environmental impacts and to provide a basis for recommend additional assessment or remediation that could support redevelopment. The inventory included a review of publically available databases, site inspection for all properties (from the right-of-way or on the City owned property), and a review of agency files. ASTI utilized this information to prepare an interactive environmental concerns map of the 59 parcels included in the ECI. The interactive map allows the user to see an overview of the entire project area while identifying the environmental concern(s) on each parcel. The mapped environmental concerns include the location of remediation equipment, landfill boundaries, infrastructure and site improvements that may impact redevelopment. Using the recommended land uses and assuming appropriate densities, ASTI then prepared a summary of available redevelopment incentives and recommended various options for maximizing incentives by coordinating redevelopment of the entire area. This evaluation indicated that a coordinated redevelopment approach could provide sufficient funding to permit stabilization and restoration of the most environmentally challenged properties. 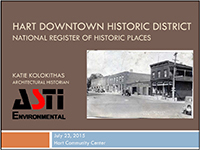 This project was partially funded by the Oakland County EPA Site Assessment Grant.